New week, new column on the magazine Nuovo (Cairo Editore). 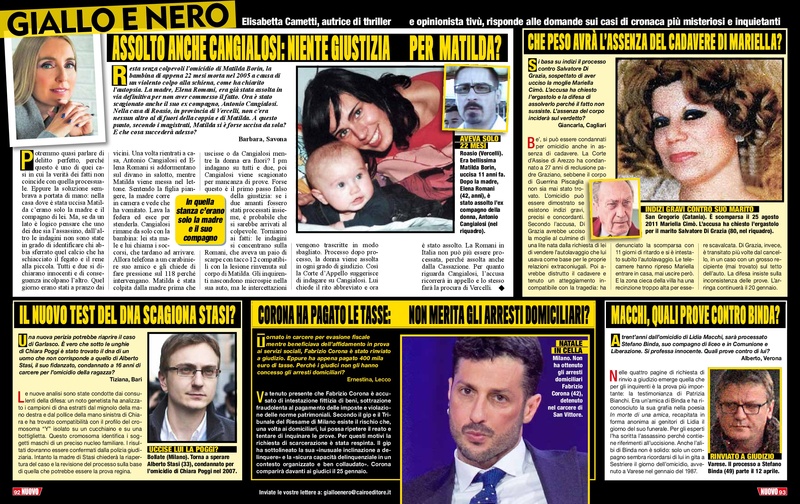 This week Giallo e Nero talks about the most controversial Italian criminal cases. What are the questions readers should ask this week? (29/12/2016).